Pitt has a storied history of great college wide receivers, including Larry Fitzgerald, Antonio Bryant and Tyler Boyd. Taysir Mack, a new Pitt transfer from Indiana University, hopes to follow in their footsteps. Touted as a three-star recruit coming out of high school, Mack was ranked the seventh-best recruit in the state of New York on 247Sports in 2016. The Brooklyn native originally committed to Rutgers University before flipping to Indiana to play for then-Hoosiers head coach Kevin Wilson. Mack has improved the size issue that Dohl mentions since he was recruited in 2016. Listed as 177 pounds by rivals.com in his senior year of high school, Mack is now 200 pounds coming into Pitt. 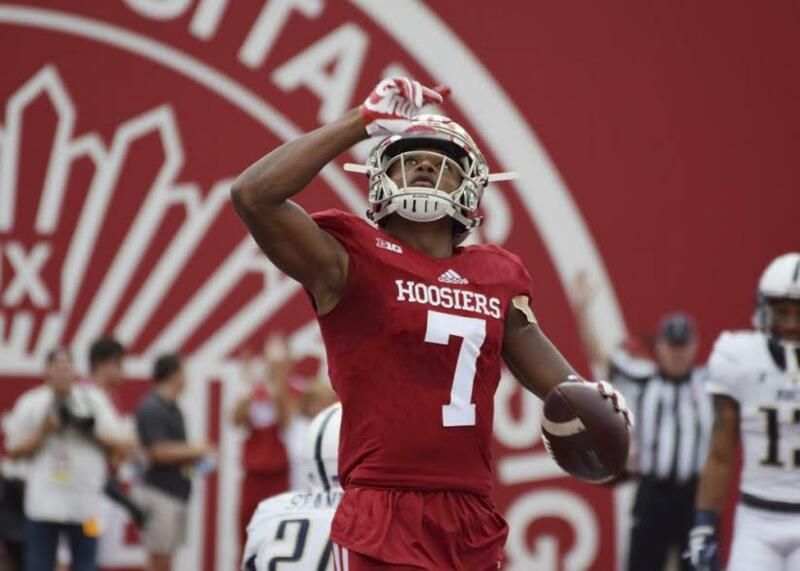 While at Indiana, Mack played in 10 of the Hoosiers’ 12 games last season, recording 23 receptions for 310 yards and three touchdowns. His numbers were good enough to place him at fifth in receiving on the team. Most of his production came in a 111-yard, 2-touchdown performance against Charleston Southern Oct. 7, as well as the season finale against Purdue, where he had 132 yards and a touchdown. Mack, as a midyear enrollee, has already gotten used to Pitt and its campus. He said finds a sense of familiarity in Pittsburgh compared to his hometown. He particularly enjoys Pittsburgh’s many food options. He said it’s a nice change from home. Due to NCAA transfer rules, Mack will sit out the 2018 season. He will hit Heinz Field for the 2019 campaign as a redshirt sophomore. Mack will be joining a receiving core that already lost two playmakers, Jester Weah and Quadree Henderson, last year. He hopes to pick up where they left off.